One Man's Lonely Adventures In His R33 Skyline GT-R: Problems Solved... With a Smile! Problems Solved... With a Smile! 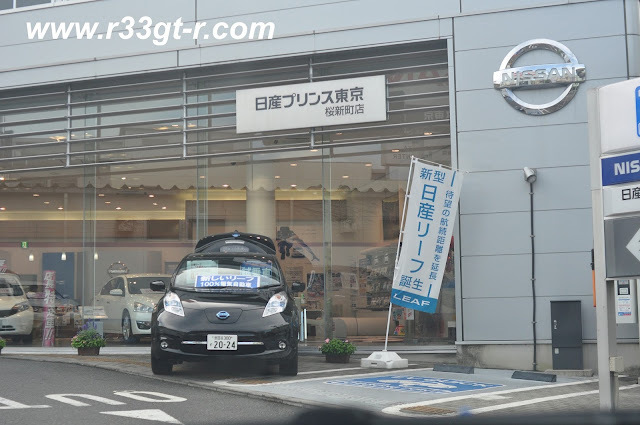 So as I indicated in my latest Speedhunters post, the guys at Nissan Prince Tokyo Motorsports Factory were able to fix the leak in the transfer case, despite NISMO's apparent refusal to acknowledge any liability. And, they did so without charging me. So a word to the wise before spending lots of money in the belief that name brands will have good customer service. I'm hoping I just got unlucky, but I was in turn lucky that the dealership did the right thing. With me trying to learn how to take photos, there were bound to be some that ended up on the Speedhunters cutting room floor. But this is my blog, so I though I'd share some here. Here I jumped out, trying my hand at being a Speedhunter. Ok never mind. I like this shot because it shows that BNR34s only had the outside only brake lamps that lit up. 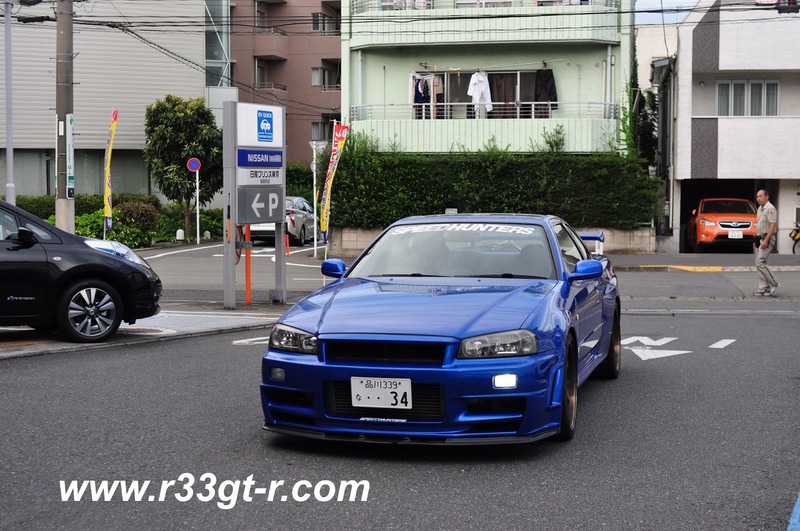 So the Kohki/Series 3 R33 GT-Rs are an anomaly, as it does this also, different from all other 33s and all 32s. Anyway, once we parked we inspected my car. Although I didn't bother mentioning in the Speedhunters post, I was more concerned about the left wheel wobble, than the leaking transfer case. I had another photo I took of the underside, simply because it was so clean underneath, with all the new GETRAG related parts. But as I discussed in the Speedhunters article, that problem was fixed, with a smile! About the wheel wobble though - turns out I also didn't have to worry. 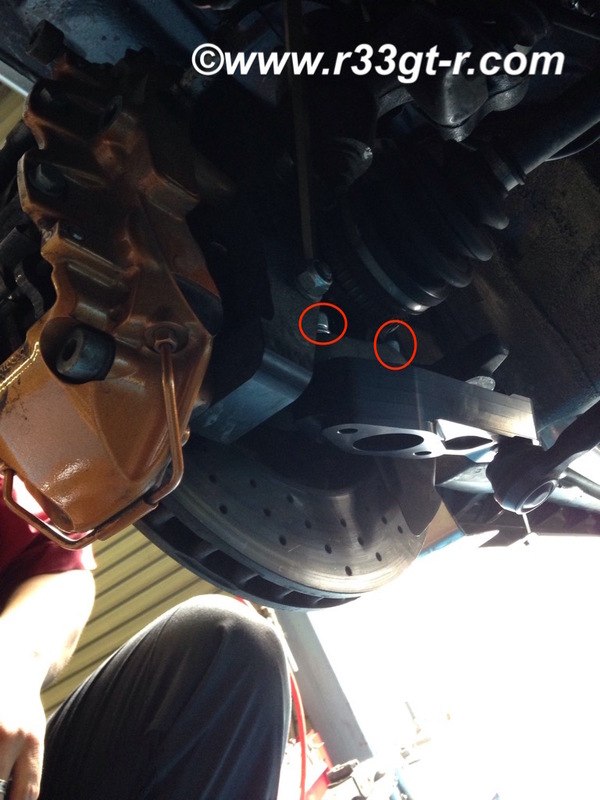 The Nissan techs figured out what was wrong that caused the wheel wobble - turned out that the bolts (circled in red above) holding the Do-Luck roll-center adaptors in had loosened up. So, they tightened them up, on both sides for good measure. 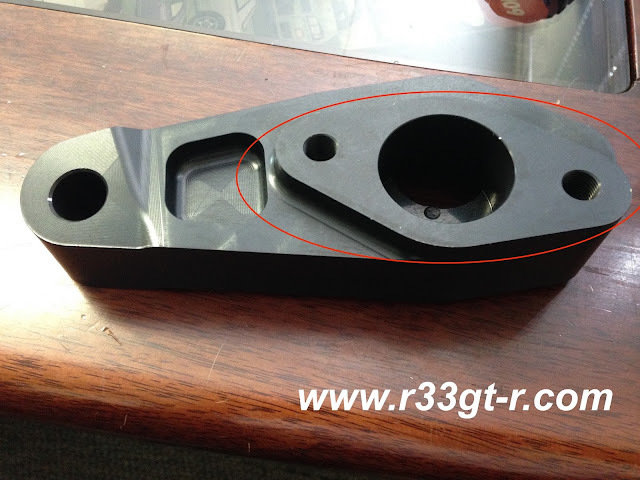 Here is a close up of the Do-Luck roll center adjuster - you can see the red circle contains what other roll center adjusters look like, but the rest of the part is designed to allow the tie rods to be raised back up to OEM spec. This results in lighter steering, with less stress on the steering rack. So now that I have the rebuilt Ohlins on, with a laser wheel alignment, all wheels balanced, and the roll-center adaptors solidly bolted on, how does the car feel? In a word - amazing. The roll center adjusters keep the steering light, but with everything squared up and tight, the feel through the wheel is amazing. I still feel a slight dead spot straight on, but even so it's much less than what I recall from before. So, it's been a long journey with many mods and parts but I am finally very close to what I believe to be the best handling, feeling wise, my car is capable of (despite the wide tires and relatively heavy chassis - it will never be like an NSX, unfortunately). Meanwhile I may have some other stuff on the horizon. 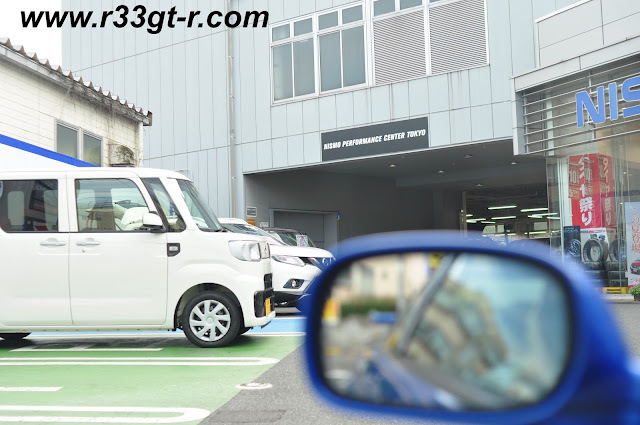 Stay tuned and thanks as always for reading this blog! How can they not take liability when its a new part that was installed by them? Because the warranty work should be with Nismo. Legally, in Japan the manufacturer has a responsibility to the customer, too. As does the seller. In the end, someone had to take responsibility, and the dealership decided to do the right thing. But, I was not happy and Dino was incredulous, hence the idea for a story on Speedhunters (plus of course the "geek/nerd" factor was VERY strong. Have you replaced the rack bushings? Some poly bushings might help the center feel as the rack won't move around as much. Also there's the rubber coupling connecting upper and lower steering columns, atleast on some older Toyotas the rubber loosens up over time and the steering feel comes quite horrible. Might be worth thinking about replacing that too, almost 20yr old rubber starts to show it's age even though it hasn't seen that much miles yet.. Thanks for the comment! Well yes, poly bushings might be on the menu in the future. More interesting is the rubber coupler, that I had not thought about previously. I will have to research this. In the past, when I changed from OEM bushes (probably super rock hard from age) to the NISMO ones, I felt like I LOST some feeling, actually. But your idea is worth researching, so I will! Great post. I like finding out the small unique things about specific models of cars.